All photographs are about history. 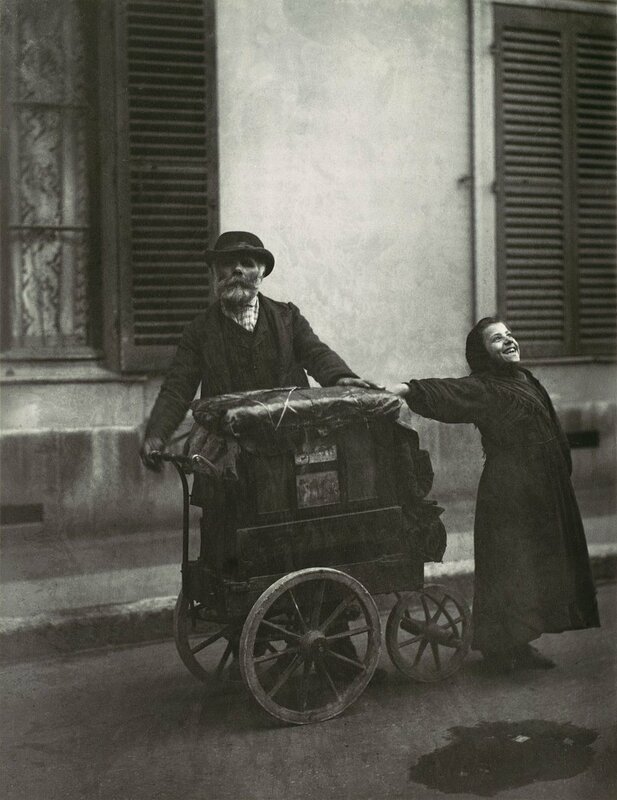 Eugène Atget's photographs are about the history of Paris in the late 1800s as it was undergoing dramatic, wholesale change. A week after his appointment in the summer of 1853, he [Haussmann] was summoned to the emperor’s official residence at the Palais des Tuileries, where Napoléon III produced his plan for Paris. It showed a map of the city with three straight, dark lines drawn over it: one running north-to-south and two east-to-west either side of the Seine, all cutting through some of the most densely populated but historic areas of central Paris. “This is what I want,” Napoléon III told Haussmann. It was the start of the most extensive public works programme ever voluntarily carried out in a European city, turning Paris into a vast building site for more than 17 years. - Quoted from the Guardian article linked below. Enter Eugène Atget, a photographer whose life had practically no documentation and no obituary, and whose career had to be reconstructed after his death by historians. He was a classic flâneur with a camera in 19th century Paris when photography was in its infancy - the word photography didn't exist in the English language until 1838 - and a man who never spoke of or wrote about his work. He was discovered by two American photographers just before his death at seventy years of age, who offered to promote him and publish his art. His response: "Don't put my name on it. These are simply documents I make." He didn't consider himself an artist, but rather a photographer working for artists; at that time there was a demand for reference materials for painters, such as photographic prints of flowers, city scenes and the like, and that is what Atget sold. Atget Paris by Laure Beaumont-Maillet (above) was published in 1993 and organizes his efforts by the neighborhoods he methodically recorded. (Atget didn't write about his work, but he did keep notes on the location of his subjects, and their distance from public transportation.) In the book are about 750 of the thousands of large plates he exposed using the forty pound camera he carted all over Paris. 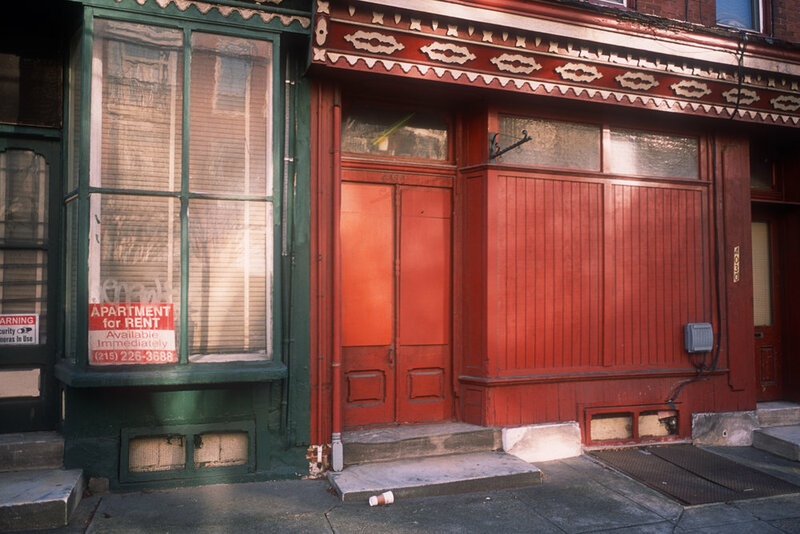 Using the morning light that he favored, Atget focused his lens on the neighborhoods of a rapidly vanishing city: storefronts and their wares, homes and their many architectural details, quiet alleys, horses and their loaded carts. 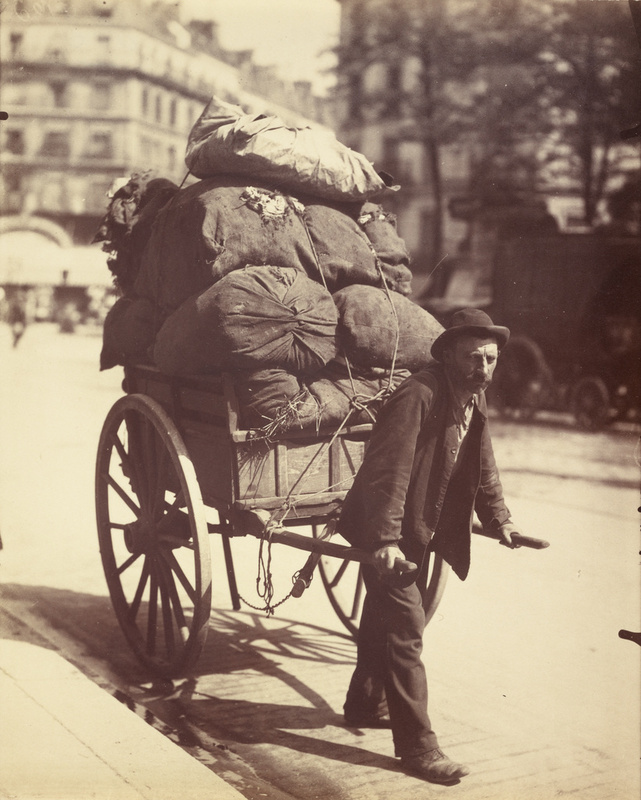 Humans aren't often found in Atget's images, but occasionally there are shopkeepers, street vendors and others that are up and about when Atget chose to work. 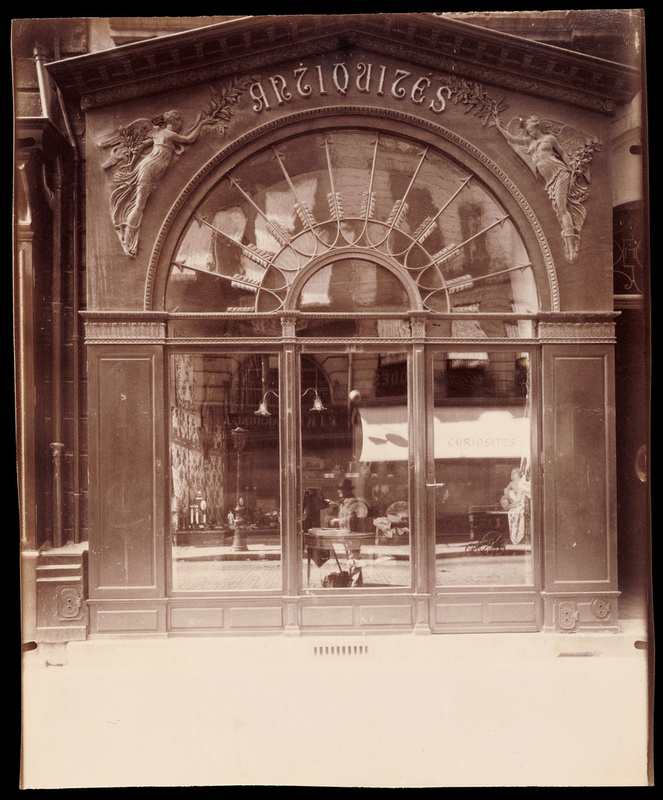 Atget's images are very carefully composed, plain-spoken documentary works of art, made by an unassuming man that avoided fame and recognition. This self-described non-artist's work is now present in just about any major global art museum you can name, and its depth and scope provide a rich history of a people, their times and their changing environment. The images below are courtesy of the Getty Museum's Open Content Program. 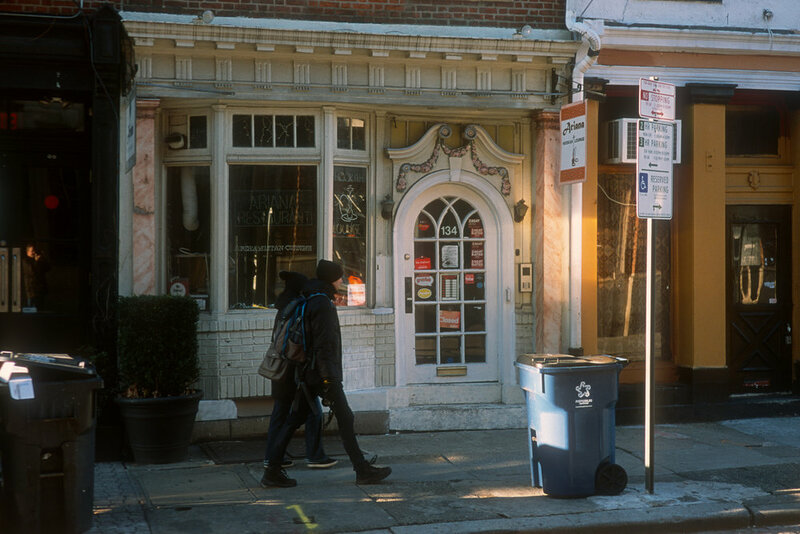 I think of Atget often as I walk the changing streets of Philadelphia (below). At this point I believe I have walked more streets in this city than I have driven, and always with a camera. Just having the camera with me tends to encourage looking more carefully at my surroundings, and at the environment of this city, a city that is also renewing, albeit not at the same pace as 1800s Paris. 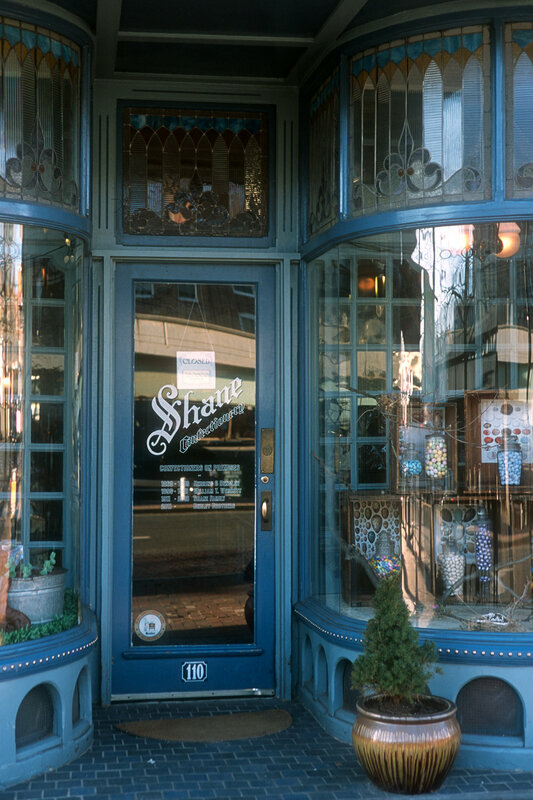 I'm attracted to storefronts both active and vacant, and enjoy collecting them before they make way for whatever comes next. Recently I've started calling my walks site research. My little book is going to renew structures similar to these through my illustrations, so now I need to look more closely than normal, and maybe bring a tape measure with me too. 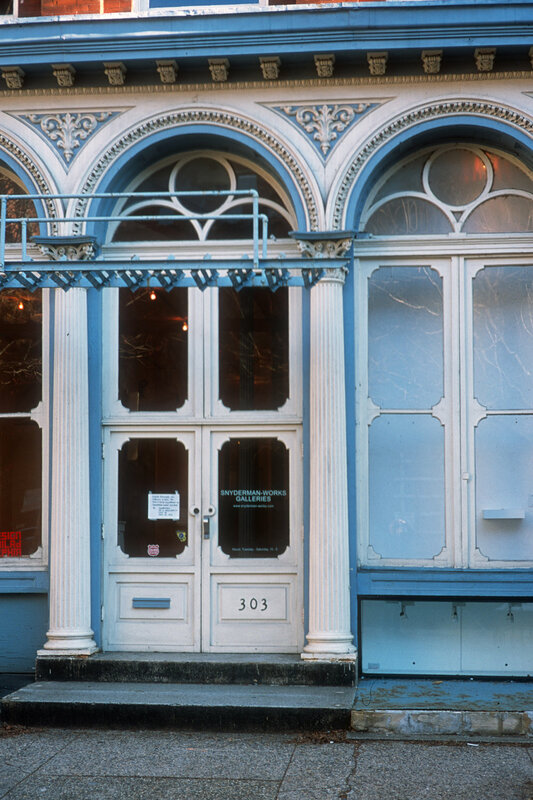 Here's a great article about Baron Haussmann and his legacy from The Guardian. More about flânerie at The Paris Review. And if you would like to learn more about Atget and his vanished neighborhoods you could follow the Amazon link in the article, or perhaps get lucky at your library. For another view of Atget you could try the pioneering champion of modern photography, John Szarkowski: forget Amazon and go to the source.